"Please know that we think that Lorraine Silverman us the best realtor in New Jersey! I recommend her highly to anyone thinking of buying or selling a home. She is intelligent, hard working, completely committed and has a great sense of humor. She is an advocate for her clients & will persevere through the ups and downs of real estate. I want to thank her for all her caring and hard work. I love my new house!" "As a first time home buyer, Lorraine was extremely patient and informative while helping me search for my home. I appreciated the time she took to answer all of my questions as well as helping to guide me through the buying process." "Lorraine helped me buy my first home. I was doubtful at first. As a first time homebuyer, I didn’t have much money nor did I know anything about the process. Lorraine spent hours with me educating me to the process. I really didn’t think it could be done but with her persistent, follow-up and eagerness to do business, she found the perfect home for myself and my two sons. Her integrity and knowledge stand out to me. I will always recommend her to family, friends, and co-workers." "Thank you for your work. We appreciate your communication of the process and your pro-active approach. It was our pleasure to work with you and would recommend you to everyone who asks. The whole family loves our new home." "I have meant for awhile to write this letter of appreciation and recommendation concerning my real estate agent, Lorraine Silverman. I have purchase two houses with Lorraine and I would not think of using anyone else. Besides her knowledge of buying and selling real estate, he truly cares about her clients and always goes far and beyond the usual to please and look out for my welfare. I have recommended her to my friends and family and will continue to do so. I hope this note encourages her and make it evident that you can do no better than Lorraine as your agent. If anyone want or needs further elaboration, please contact me at 856-938-7172." ""Lorraine is a trustworthy real state agent who works with and for her clients. She stood firm on a very shaky time for selling a property, and got me a sale. I was happy." "Thanks Lorraine, for all the help and guidance with selling my home. You were there every step of the way from listing the home, to offer to purchase, to negotiating, to agreement of sale, to home inspection, etc. Your basic integrity and strong background helped me to get the best price for my home. You also helped make the transition to my new home a lot easier. Once again, thank you to a top-notch real estate agent." "Lorraine is competent, professional and works diligently to obtain positive results. She has extensive knowledge of the South Jersey housing market and is up to date on the issues that affect that market. I would recommend Lorraine to assist you in selling or buying your home. " "Lorraine is a valued connection and knowledgeable professional." 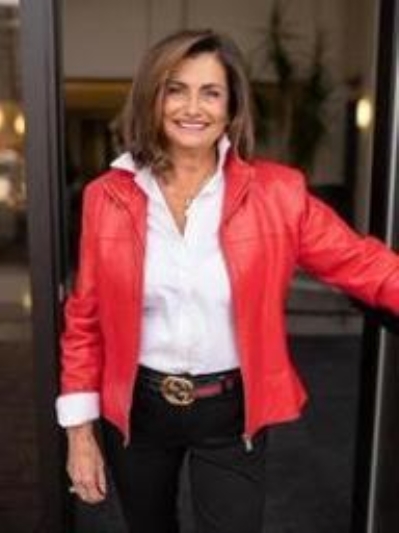 "Lorraine Silverman is one of the hardest working people in real estate that also takes pride in representing her clients interest over her own. I have seen her negotiate both hard and smart on her clients behalf and is the consummate professional in her dealings with clients. In my opinion her real estate skills/knowledge/abilities maker her one of the top agents in the Philly/South Jersey markets. 856-310-1991"
"On behalf of the Community Baptist Church Family and the Community within the City of Camden, New Jersey, we want to personally take the opportunity to thank you for your donations, time and efforts to support the needy children which reside in an area that has been ranked the most dangerous city in the nation. Despite the negative publicity that the City has received as a whole, we are glad to see that someone cares about the community and citizens of our great city, the City of Camden, New Jersey." "“Lorraine listened to what we wanted in a home. She asked questions and took notes. Since we were from out of town, she took the time to explain the different areas to us. After she presented our options to us, we went to view homes. Lorraine always took the time to answer our questions and if she didn’t know the answer she said so and then got back to us promptly with the correct answer. She also has a great personality that helped ease a lot of tension you may experience while going through the process. Lorraine was always congenial and has a great sense of humor.”"
"We were first time homebuyers and didn’t really know anything about the home buying process. Lorraine carefully explained the process and kept us informed every step of the way. Lorraine was really helpful to us in finding our desired home. She is a hard working & diligent realtor and good business woman. She persistently searched for different houses that would meet our requirements. It was our pleasure to work with her. Regards"
"I want to start by letting you know that your company has an amazing person on your staff and you should be very proud of her hard work and dedication to her clients. I purchased a home in Pennsauken, New Jersey a few years back and after some rough turns in my life was in need of selling the home. I went through real estate agent after real estate agent and company after company and no one could seem to help me sell my home. Two years had gone by and I was still paying a mortgage on the home as well as paying rent in an apartment after having to move to North Jersey. Times were getting tougher and I was finding it difficult to manage the mortgage. I finally decided to try to go for a short sale on the house. That seemed to make the process that much harder. Things just were not going well and I thought I was going to have to foreclose on the home because I could not find anyone to help me sell my home. Then I turned to Lorraine Silverman for help. I remembered her having helped me years before to look for a home and I remembered how dedicated she was to helping me find a home. I looked her up and got in contact with her. She was my saving grace. I explained my situation to Lorraine and her response to me was “Don’t worry we are going to get that house sold!” I felt such a sigh of relief. She was always so optimistic throughout the entire process. Lorraine was by far the most dedicated, professional, and caring real estate agent I have ever worked with. No matter how rough my situation she figured it out and stuck through banks and lawyers with me. Lorraine dedicates herself her work and takes great pride in what she does. When we sold the home I can only remember how happy she was for me and I could not thank her enough for all her hard work and dedication. I know that I can send my friends and family members to Lorraine when they need help buying or selling a home because I know that she will take great care of them as she did with me. I highly recommend Lorraine Silverman to anyone I meet and I want you to know that she is a great asset to your team and you should be very proud to have her." "“I have worked with Lorrain on more than one occasion and I know she places her clients in the highest regard. She takes care of them like family.”"
"I am writing to give Lorraine Silverman my highest recommendation. Lorraine possesses all the attributes necessary to be an excellent broker: she knows her market extremely well; she is diligent, responsive, and yet very patient with her clients. She always has time for me and ready to answer any questions I may have for her. Lorraine is both very professional and personable. She clearly takes pride in doing a good job. It would be hard to envision someone doing a better job than Lorraine or being anything but happy in choosing to work with her." I can't thank you enough for all your help and support during the adventure of purchasing my first place! It's such an overwhelming experience and you were wonderful throughout - explaining things, constantly keeping in contact, and, most importantly, keeping my needs forefront. I was impressed by your determination and savvy business style in which you got me the place that I wanted - even with all the obstacles! You are a very talented and trustworthy realtor, and I would highly recommend you to friends and family! Thanks again for all your help!! I can't wait to have you over to see the place all decorated!" "Lorraine is a wonderful realtor and friend. She is so dedicated and hard working. She did not quit until we found our dream home- and believe me, we saw a lot of houses!!! Thanks Lorraine for all you do. She sends birthday cards, graduation cards and is so thoughtful. You are an asset to the industry and I am proud to call you friend. I would recommend her to anyone looking for their dream." "Before contacting Lorraine to take over the sale of my father's house, and going through several other realities agents, I did not feel a professional was handling the estate sale. Lorraine was wonderful and very knowledgeable in all aspects of the listing and in her sales and marketing abilities. She was there every step of the way and gave exceptional in site and strategies for the prompt sale and settlement. At all times she was very professional and I strongly recommend her as a top sales agent for anyone looking to purchase or sell a home. ""Lorraine has helped us purchase our first home, as well as a space for our new business. Here straightforward approach made the entire process easy, convenient and comfortable. Her extensive knowledge of her industry and the local area has been a great help in the buying and leasing processes. We will continue to reach out to Lorraine for all of our renting and buying needs. - Justin and Alycia McGinley"
"My husband and I were very nervous as first time homebuyers. We'd heard so many horror stories about all the things that can go wrong when buying a home. Fortunately for us, Lorraine walked us through every step of the process. There were absolutely no surprises. She and the circle of people with whom she works were patient, diligent, professional and most importantly, knew how to set our minds at ease." "Lorraine is a bright agent who is quickly emerging as a leader in this business. This was apparent from our first meeting until the end of our business transaction. I would highly recommend her services to anyone out there who is looking for a diligent and dedicated broker." "After dealing with multiple realtors, I finally came across Lorraine Silverman. Lorraine is a true pleasure to work with. Lorraine is knowledgeable, hard working and knows her business. If you want a realtor who you feel comfortable and connected with, then look no further." "Lorraine Silverman is a different type of realtor. She is a caring individual, extremely intelligent, and always willing to help in any way. I was going to place my home up for sale and contacted Lorraine. I did change my mind and decided to stay a while longer. Some realtors would get a little upset at that, but not Lorraine, she understood and helped me in every way she could. She took the time to explain several things I never could have learned on my own. Since then, a couple of years ago, she has stayed in contact with me, and still sends me information she feels would be of benefit. When I am ready to sell, Lorraine is the only person I will contact. I have already distributed her business cards to several friends and neighbors with my highest recommendation." "My husband and I had the pleasure of working with Lorraine Silverman to buy our first house. We first met Lorraine at a open house and her knowledge of the market and the area help make our decision to use Lorraine as our agent. Lorraine was instrumental in making our first home buying experience smooth an effortless on our part. Although our home purchase was over 4 years ago Lorraine keeps in touch to be sure we are happy in our home and share great information in regard to the market conditions and home owner tips that are very helpful, especially for first time home owners. I would highly recommend Lorraine Silverman to my anyone looking for a market expert with extensive knowledge of the home buying process and with a very personal touch that makes all the difference!" "Lorraine was referred to us by family members who had previously worked with her to purchase their current home. We are very grateful that Lorraine was referred to us. Before we met Lorraine, we were very confused about the process of buying a home and expected our first purchase to be a difficult process. From day one, Lorraine helped put our minds at ease. As first time home buyers, we had a lot of questions and she answered them all. She had our best interests in mind throughout the whole buying experience. We are both very excited about our new home and look forward to being able to refer Lorraine to others." My experience with Lorraine in the purchase of my new homevwas a pleasure. the property I had sold in Basking Ridge and successfully completing the transaction here in Delran. Lorraine worked extremely hard to keep all the parties informed and the transaction on target..
if not for her, I am not sure we would have closed this transaction. I would highly recommend Lorraine to anyone buying or selling real estate in the South Jersey area.